Organigram, a New Brunswick-based licensed producer, announced in a Jan. 18 press release that the class action lawsuit it’s facing over the use of banned pesticides in its medical cannabis will proceed to trial. In typical press release fashion, it downplays the significance of the lawsuit proceeding to the next step- saying it’s standard operating procedure- while assuring everyone that “the Company intends to vigorously defend itself against this class action” and that “ management does not anticipate that the class action (including the resolution thereof) will impact its business or operations in any material manner”. Basically, Organigram is trying to get in front of the story and control the narrative because the company knew it would be getting out anyways. What’s the Organigram lawsuit about? Organigram’s press release initially addresses the reimbursement issue with medical cannabis patients, but as you read on, you eventually learn the real reason why Organigram was reimbursing patients in the first place: “trace amounts” of myclobutanil, a pesticide banned by Health Canada, was found on the company’s medical cannabis between December 2016 and January 2017. According to a Dec. 30, 2016 press release, cannabis produced during this time was voluntary recalled by Organigram in a Type III recall, which is “a situation in which the use of, or exposure to, dried marijuana, fresh marijuana or cannabis oil, marijuana plants or seeds is not likely to cause any adverse health consequences“– the company didn’t even know which banned substance it was yet, only to find out later it was myclobutanil. But just over a week later, on Jan. 9, 2017, a Health Canada report showed that Organigram wasn’t telling the whole story. While it is true that Organigram initiated a voluntary Type III recall, only 5 lots of product were affected. What it failed to mention were the Type II recalls. Type II recalls are more serious than Type III, and there were 69 lots of product affected by the Type II recalls, meaning there was almost 14X more Type II recalls than Type III’s! As mentioned, myclobutanil was the unapproved substance found in Organigram’s medical cannabis, and the company acknowledged that some medical cannabis patients reported adverse effects from their product. But Organigram likes their chances because, as it says, “it will be up to each individual to prove that the alleged health effects were actually caused by the cannabis”. While myclobutanil has been deemed a safe pesticide for lettuce and berries, it is not safe for cannabis. That’s because with vegetables and fruits, the pesticide is designed to be rinsed off with water before eating. When it comes to medical cannabis, you can’t wash it and you’re not eating it- you’re smoking it. When myclobutanil is burned, it produces a toxic gas- hydrogen cyanide, a toxic gas that can cause “dizziness, trouble breathing and vomiting at low levels of exposure’, according to The Globe and Mail. The sad fact is that the medical cannabis patients most affected by the myclobutanil were the ones with already compromised immune systems- whether from sickness, chemotherapy, or any of a number of reasons- and the hydrogen cyanide exposure could have made it worse, in effect making an already sick person even sicker. But Organigram is trying to put a positive spin on the whole situation, saying that this incident made them introduce quality controls, product enhancements, and innovative solutions that has only made their cannabis better. Featured image courtesy of 680 News. 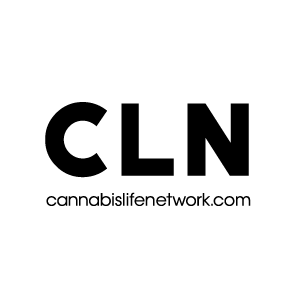 CLN: Class Action Lawsuit against licensed producer Organigram certified to proceed to trial. Globe and Mail: U.S. doctor says Canada is playing down risks of pesticide tainted-pot. Health Canada: Recall of Cannabis for Medical Purposes – Organigram Inc.
Market Wired: OrganiGram Announces Voluntary Product Recall.